We desire for everyone to know and passionately follow Jesus! Jesus changes lives and our goal is for everyone to experience new life in Christ (2 Cor. 5:17). practical teaching from the Bible and to know authentic community with each other. Life is Better with Jesus! You are welcome to visit and discover this truth for yourself! We are an evangelical church that is non-denominational and our members are primarily from Canada and the U.S. A. 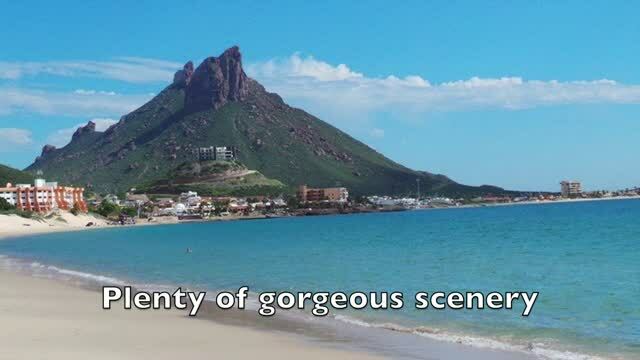 We love our secret little paradise in San Carlos, Sonora, Mexico and we think you will too. We are affiliated with Northside Baptist Church in Weatherford, Texas (www.nsbcweatherford.com). "Agape" is Greek for Godly Love. Agape Christian Fellowship is an Evangelical Church in Mexico serving expatriates. Every day more people choose to follow Jesus! This is because once you know and experience His love, you don't want to live without Him. At Agape Christian Fellowship our desire is to show you the path to Jesus. It doesn't matter what your background is or your current beliefs. We invite you to come as you are; and discover how much love (agape) Jesus has just for you. In this 2 minute video you will learn the humble beginnings of our church, Agape Christian Fellowship, and see how God has graciously provided for our needs. We believe God has great things still planned for our church here in San Carlos, Sonora, Mexico. It is exciting to anticipate more blessings from God as we let Him lead and guide us.